The Green is a beautiful development of eleven new build family homes situated in a cul-de-sac on the Botteville Road. 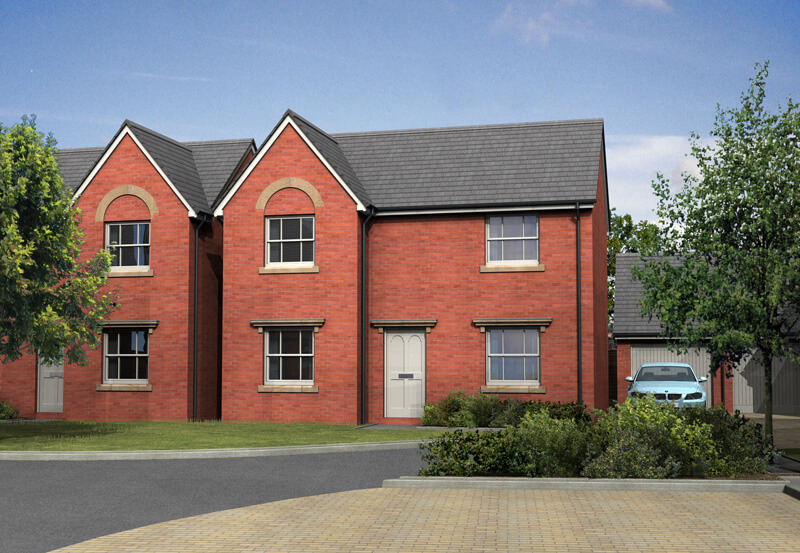 These 3 & 4 bedroom homes are located in the leafy suburb of Acocks Green in Birmingham. The vibrant suburb retains a village atmosphere, whilst having everything to suit your needs within easy reach. The Greens is an ideal place to live with its cul-de-sac setting, offering privacy to its residents along with the convenience of being just a few minutes’ walk from the Acocks Green high street on Warwick Road, with a mix of high street stores and well supported local independent outlets.. The high street hosts several supermarkets and is an important shopping centre for the community. Nearby primary schools include Acocks Green School, The Oakland & Holy Souls Catholic Primary School; all of which are within a 10-minute walk from The Green. Secondary schools in the local area include Archbishop Ilsley Catholic School & Ninestiles School. Botteville Road is within easy reach to the Acocks Green Station where you can travel to Birmingham City Centre in less than 10 minutes. The village is well served by public transport with major bus and train links to other local suburbs, Birmingham city centre, Solihull and Worcester. Birmingham city centre is 5 miles from The Green and Solihull centre is less than 4 miles away. Major bus and train links to other local suburbs, such as Solihull and Worcester.